Sometimes the most horrible and old fashioned facade adornment can be perceived or might be considered as art. 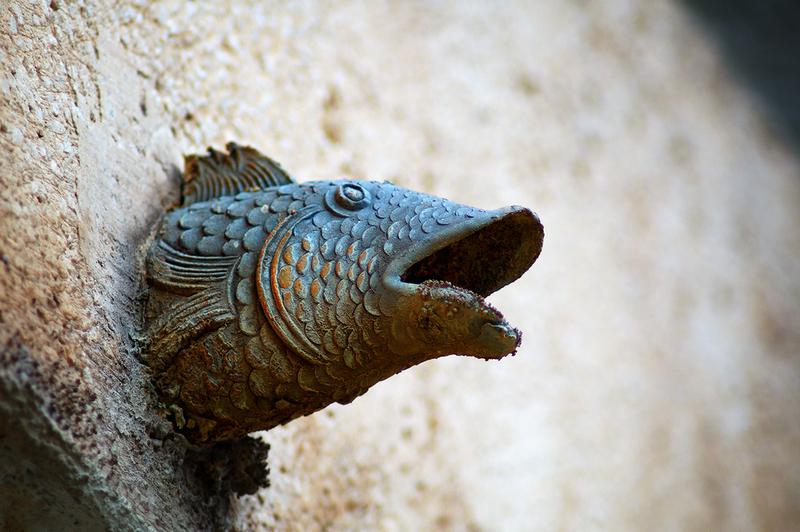 This fish head that acts as a balcony drain in one of the many buildings built during the 60s and 70s in Barcelona might be considered kitsch by some or a beautiful retro water drain by others in a couple of years. Who knows? -Bingo! Well, at least for a picture it was somehow attractive. i like it too. why not publish a photo of a drain you do like next time to show us what they should look like...? haha.